Kingstonian’s home match against South London is off. Despite an early hiccup, K's produce a strong performance to defeat Bognor Regis Town 4-1. 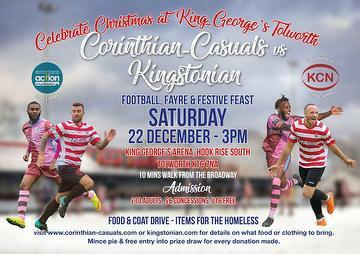 Kingstonian and Corinthian-Casuals Football Clubs are coming together on the 22nd December for a festive party in aid of two very worthy local causes. 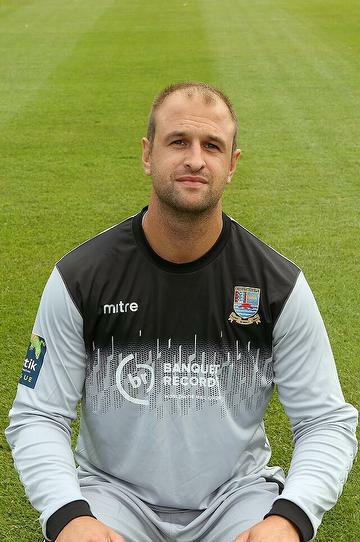 Sean Clohessy signs for K's from Concord Rangers, Ben Dempsey arrives on loan from Charlton Athletic whilst Connor Dymond joins Margate. Congratulations to the Tolfmeister, who has won last month's Premier Division award. Haringey Borough serve notice on the rest of the league that they are promotion contenders. Forward Mo Faal has requested and been granted his release. 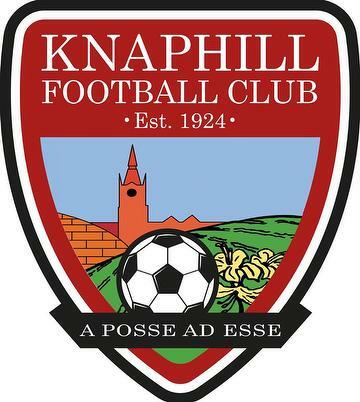 K's will travel to Redding Way on Tuesday 8th January for their game at Knaphill. Very impressive visitors too good for K's at King George's Field. Following a pitch inspection, we are good to go and today's match is on.